Pendant measures 34mm (1 5/16") x 26mm (1"). 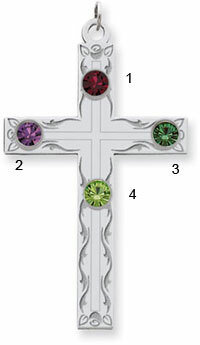 Each stone is 3mm (1/8"). 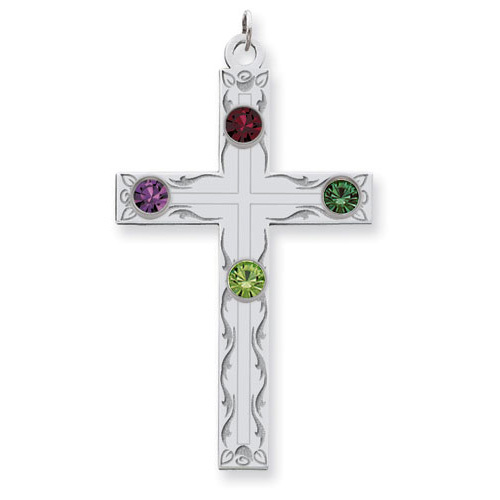 We guarantee our Sterling Silver Swirl Cross Family Pendant with 4 Stones to be high quality, authentic jewelry, as described above.